教材：小学英语/鲁科版（五四制）/三年级上/Unit 6 Colours/Lesson 3 I Like Green. 教材：小学英语/鲁科版（五四制）/三年级下/Unit 4 Home/Lesson 1 We have a big living room. 教材：小学英语/鲁科版（五四制）/四年级下/Unit 1 Countries/Lesson 1 I'm from Britain. 教材：小学英语/鲁科版（五四制）/四年级下/Unit 1 Countries/Lesson 3 I live in Beijing. 教材：小学英语/鲁科版（五四制）/四年级下/Unit 1 Countries/Lesson 2 Where's she from? 教材：小学英语/鲁科版（五四制）/四年级下/Unit 6 Travel/Lesson 3 What are you going to do there? 教材：小学英语/鲁科版（五四制）/四年级下/Unit 6 Travel/Lesson 2 How are you going there? 教材：小学英语/鲁科版（五四制）/四年级下/Unit 6 Travel/Lesson 1 I'm going to Mount Taishan. 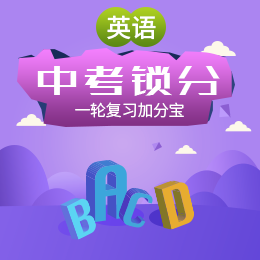 教材：小学英语/鲁科版（五四制）/四年级下/Unit 5 Shopping/Lesson 2 Do you have schoolbags?